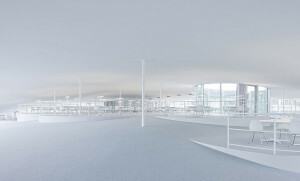 White, ?as a color, does not exist. 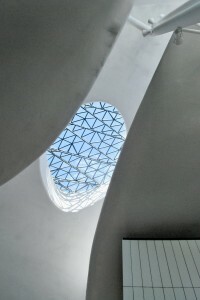 It is a reflection of the beams which drop onto the surface. 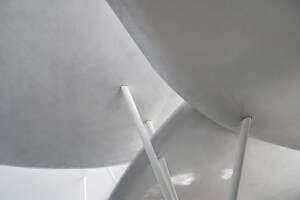 White is included in the number of achromatic colors and is the most luminous of all. 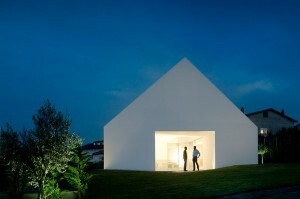 Lighting and color are integral parts of each other, because there is no light without color. 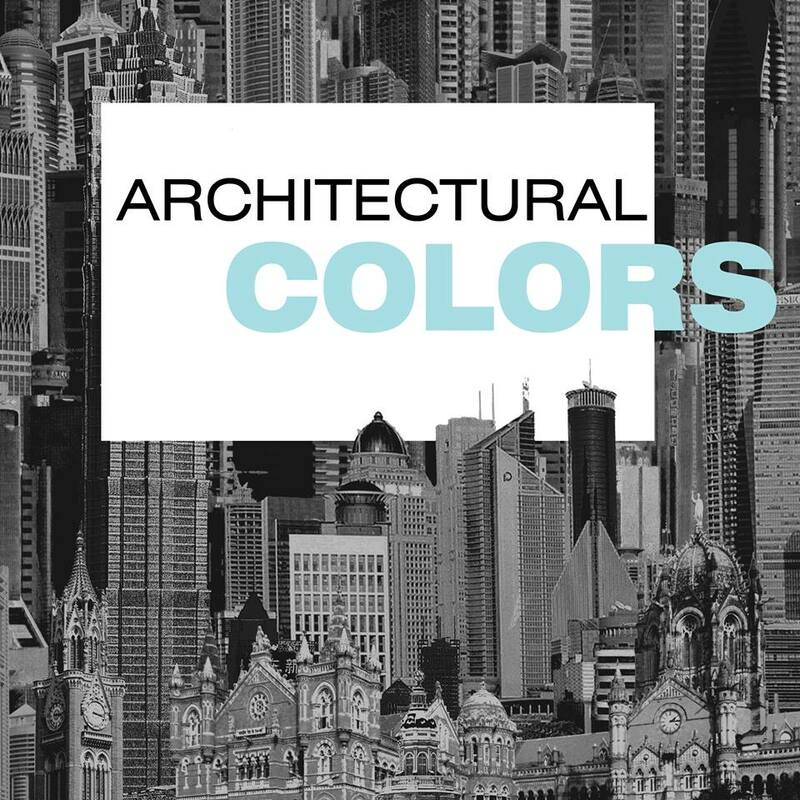 The main purpose of color is to express order of architectural elements, determine purpose of spaces in the interior, create visual effects and thus affect a person’s mood, perception of the object, understanding of the information given. 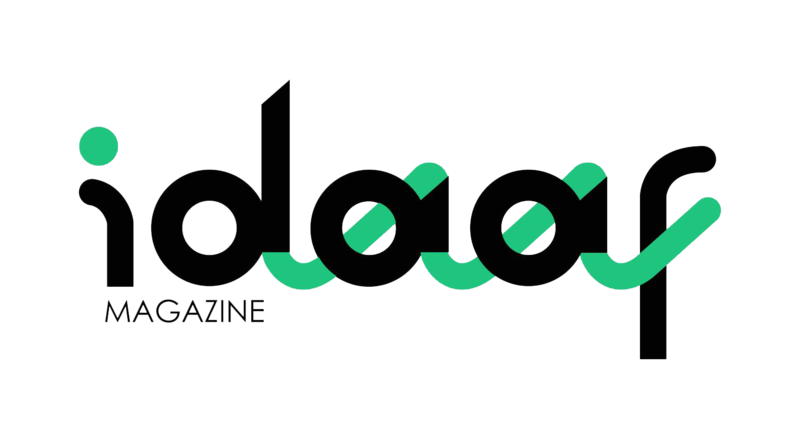 Color is an international visual language, which is understandable for everyone, it’s essential to understand and perceive its multicultural aspect. 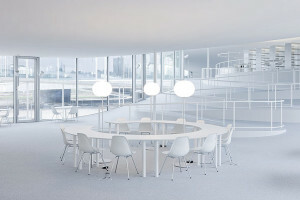 White is associated with different emotions, moods and “psychological effects” across cultures. 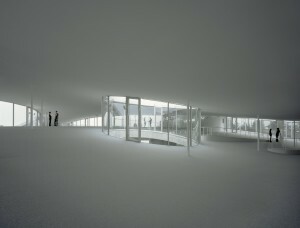 For example, in the Western cultures, white color creates openness, purity, sterile feeling in some cases, while in the east it is traditionally realted to death and grief. 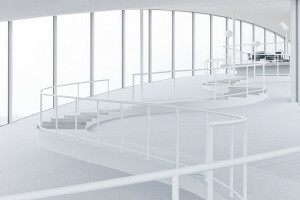 In general, white is the colour of peace, truces. 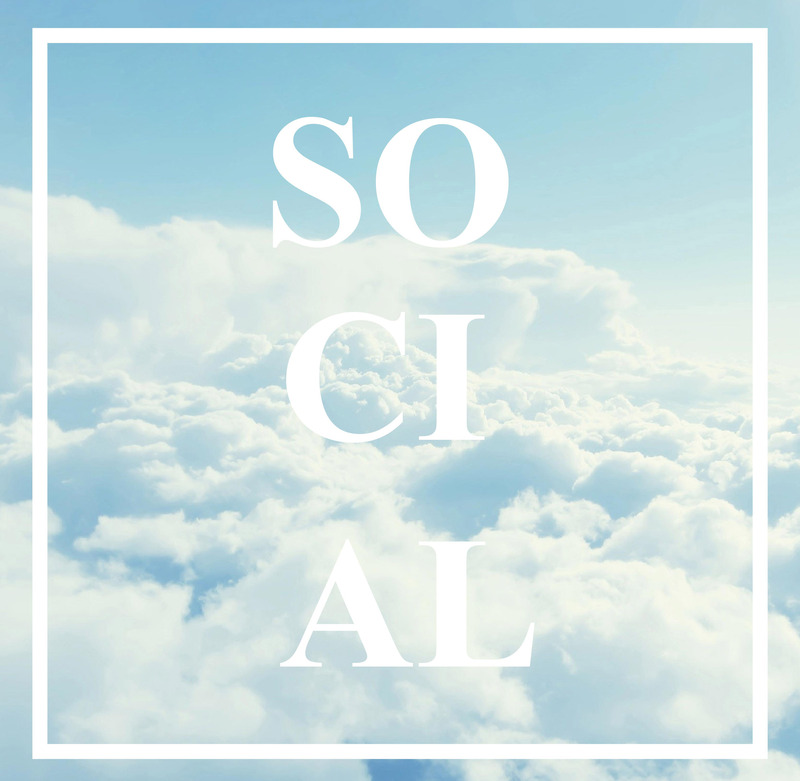 Most of the associations are positive – remember the wedding, clouds, sky, snow, spring flowering almonds and a pleasant sensations. 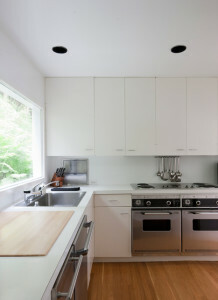 Interior designers use white color in order to create clean and calm mood. 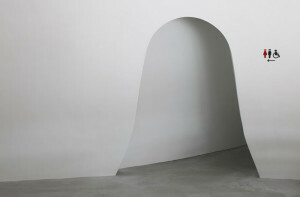 Technically, the white walls visually increasespace. 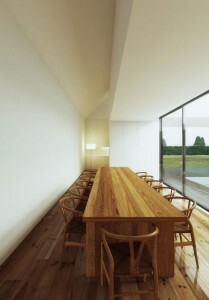 Hygiene, light, purity, simplicity, innovation, perfection is a feeling, a positive feature of this color. 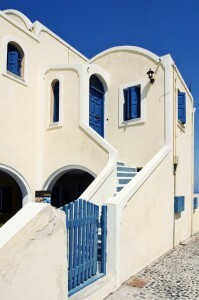 Color creates a form of architecture. 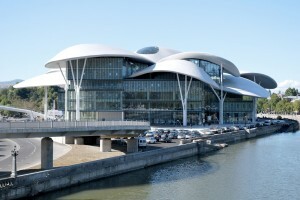 He always has a role in the preception of space, buildings. 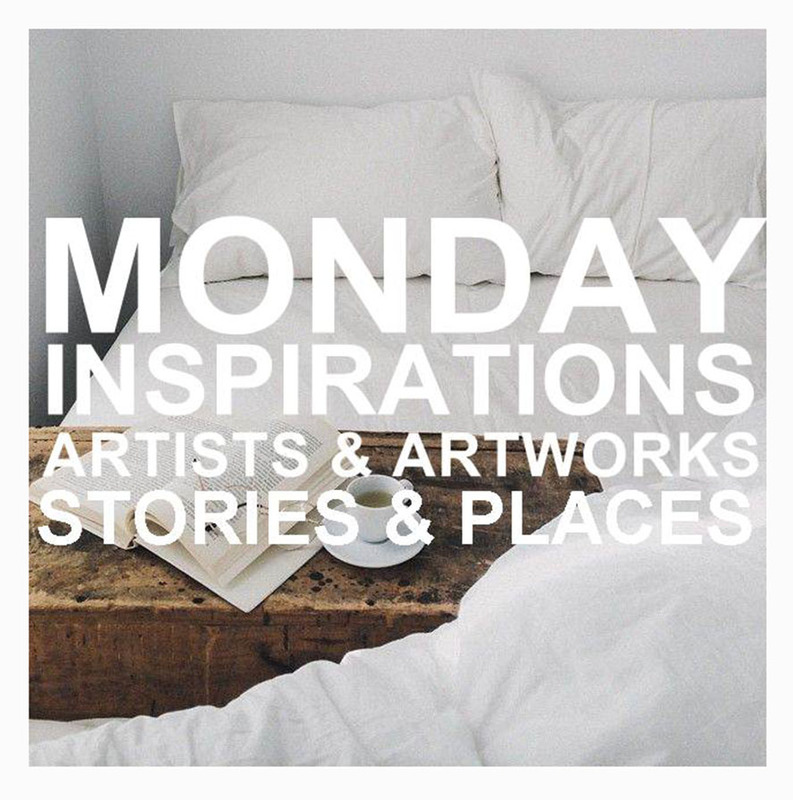 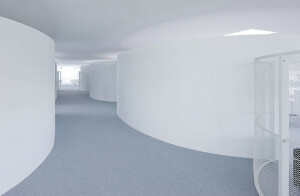 It is possible to express many messages using white color, which is used in the right way, in the right space by architechts and designers. 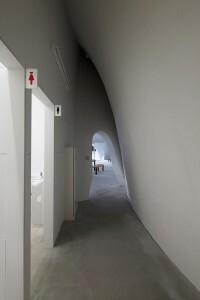 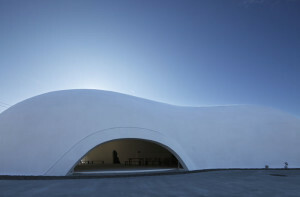 According to the color of the architecture of the building , wecan define its content function. 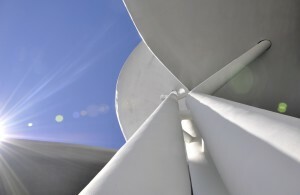 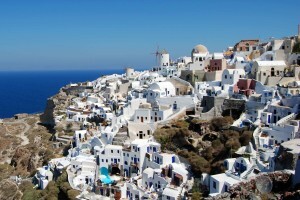 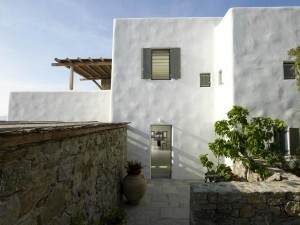 The first example of white architecture is the development on Cyclades islands. 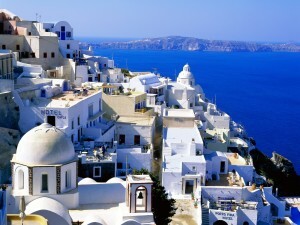 Cyclades, is an archipelago in the south of the Aegean Sea, Greece’s borders. 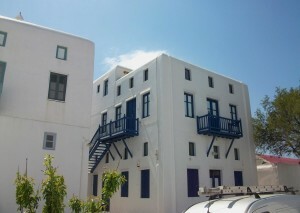 Most of the buildings on the islands are of white color, for one simple reason – to reflect the rays of the summer heat. 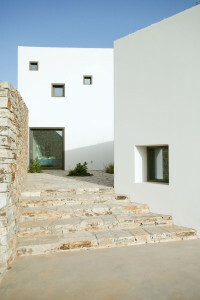 In this case, the white color was chosen for bioclimatic and ecological reasons. 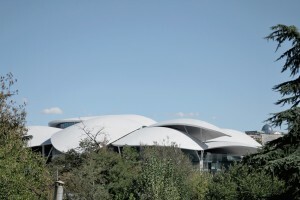 The buildings are of the material which helps to keep them cool in summer. 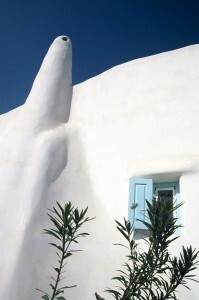 It is also interesting that the buildings were not painted white, but asbest was used, silicate mineral, which is known as thermoisolator, although it should be acknowledged that asbestos dust is a cancer-causing substance, and its inclusion in the human respiratory tract causes severe diseases. 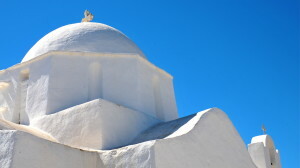 The use of asbestos is banned in the EU since 2005. 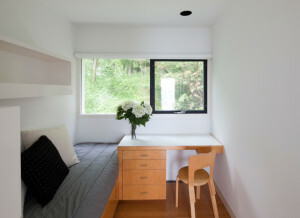 A simple, rectangular-shaped open space for studentsis created in Kanagawa Institute of Technology campus. 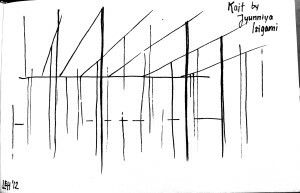 There is no border, only 305, at first glance, unorderlynarrow columns. 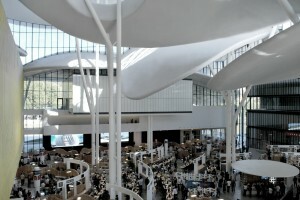 If we look at the layout of columns, we will see that the architect created these functionally organized spaces for various activities. 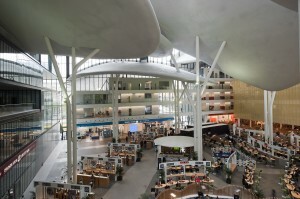 “Everything in One Space” – this phrase defines the building. 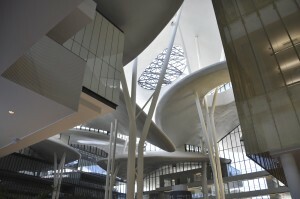 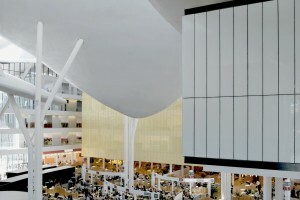 The central atrium is a public space and the basic public services can be obtained there, around it are some glass volumes with various offices, bank branches and agencies. 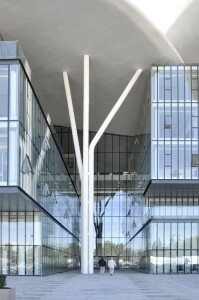 The interior part of the roof is structurally independent, is composed of 11 curved forms and depends on independently standing metal columns. 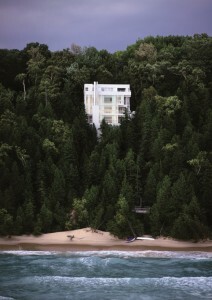 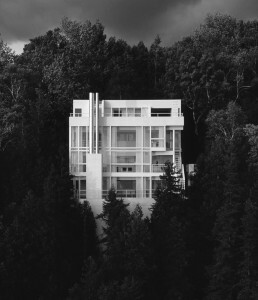 Douglass House by Richard Meier can be considered one of his early works. 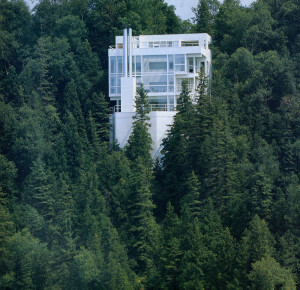 The house is a symbol of 70s rationalism. 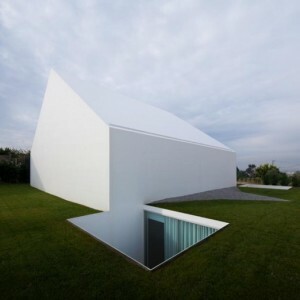 The first thing that catches the eye is white contrast with the environment. 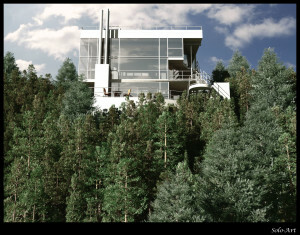 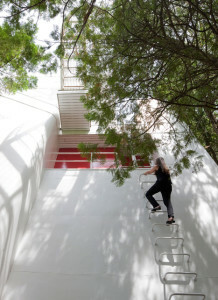 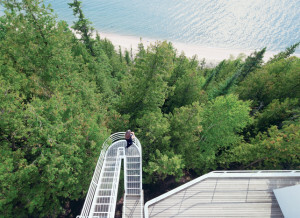 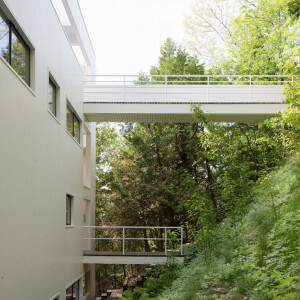 In order to preserve the natural environment and landscape, architector used minimum amount of building space and split the volume into three floors. 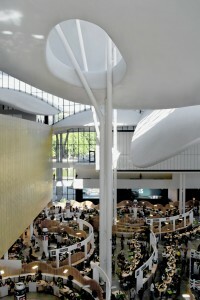 The main library is the owner of the largest scientific collections in Europe. 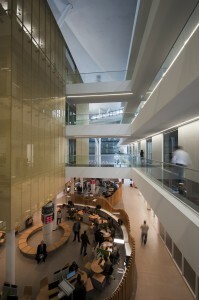 This space is designed to be open and is ideally suited for students, researchers and interested people. 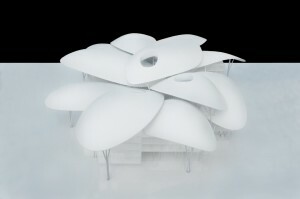 In the plan, rectangular-shaped curves and levels of variability in the interior of the building creates an organic form. 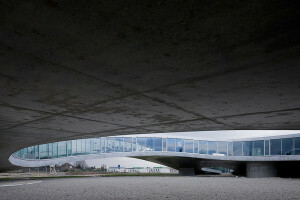 As the member states: “The people’s movement trajectory is organic and not linear, as for example the train’s. 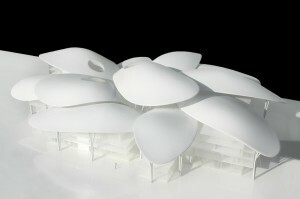 With curves , much more diverse interaction can be created”. 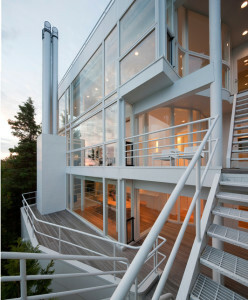 Based on this example, we can say that white is obviously the colour of modernism and modernity. 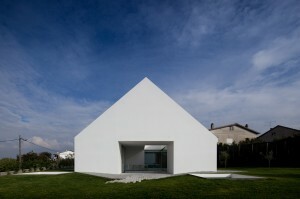 Architect is Manuel Matheus. 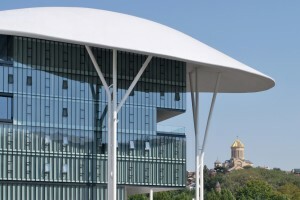 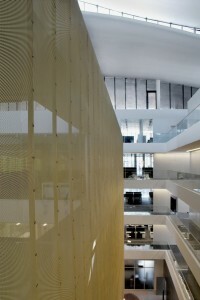 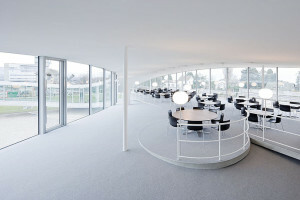 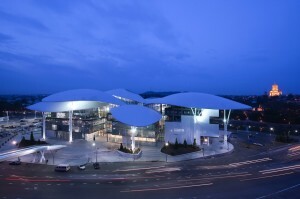 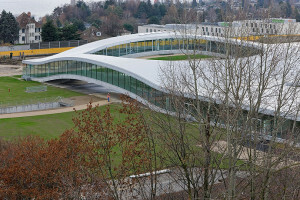 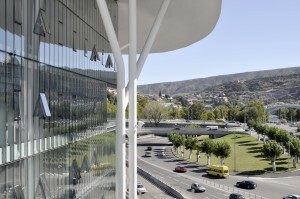 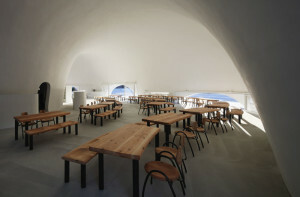 This building was completed in 2008-2010, is divided into two simple principle, private and common areas. 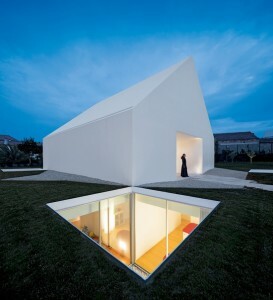 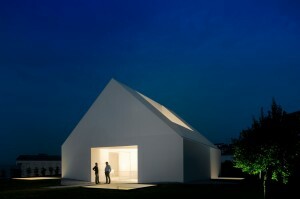 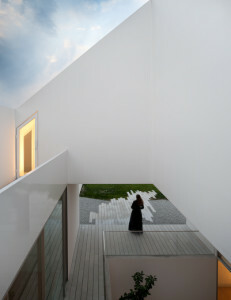 The distinctive structure of the house is a gap in the core, which is lit with light from the cut off roof . 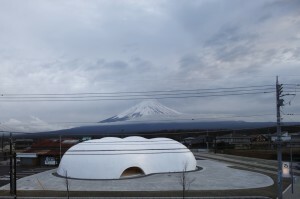 Photographs: Koji Fujii / Nacasa&Pertners Inc.
Takesi hosakas traditional cuisine restaurant Hoto Fudo (Hoto – traditional local dish) is located in Japan, nearby mount Fuji. 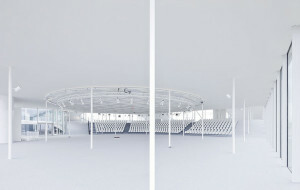 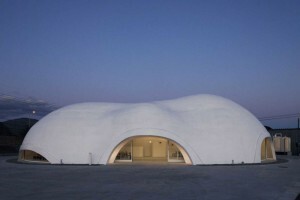 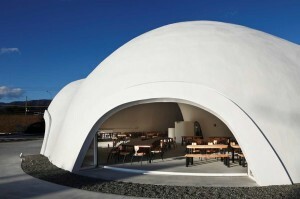 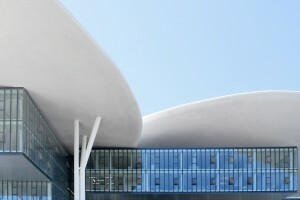 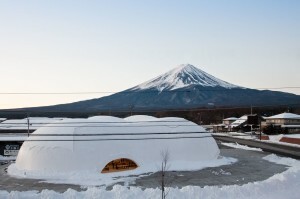 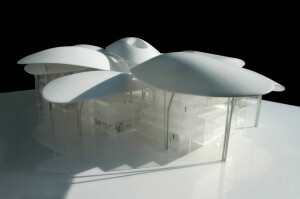 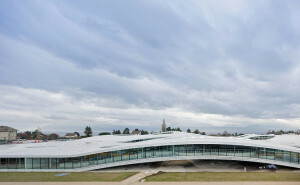 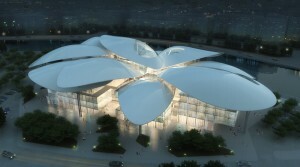 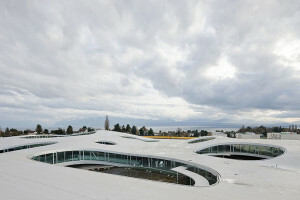 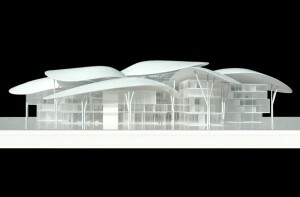 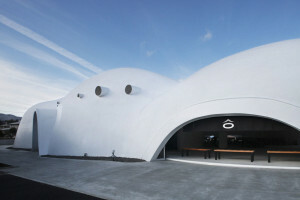 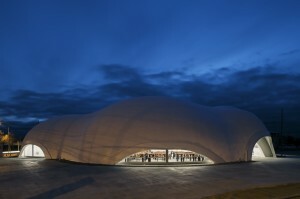 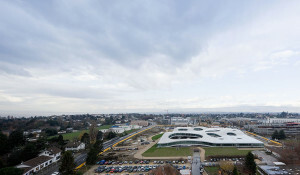 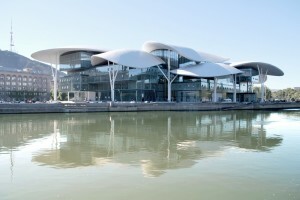 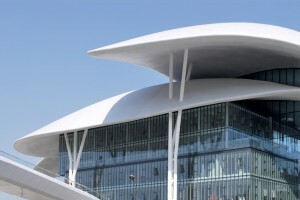 Biomorphic shape of the building, its soft geometry creates an association of clouds, snow. 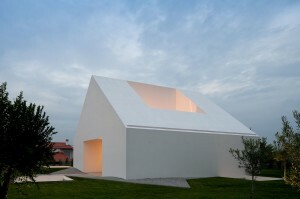 White color is related to the disposition and architectural integrity of this small-volume architectural object which belongs to the environment and at the same time creates interesting accents.? 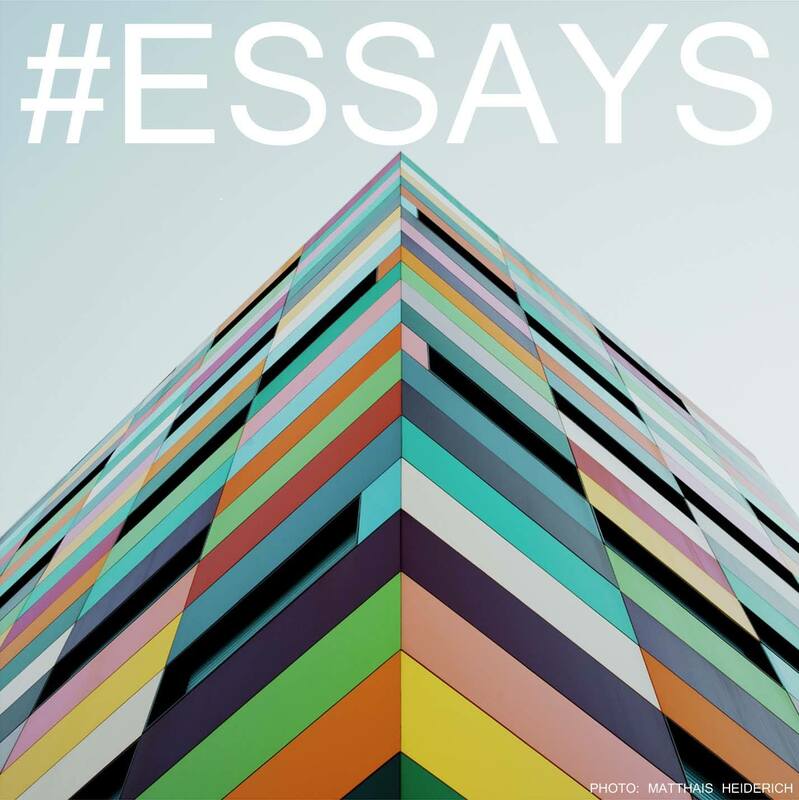 It is impossible to see it once and not remember it throughout the whole life., which is definitely ideal synthesos of colour and form with each other.